Really interesting. My main concern with Facebook and Linkedin etc is that it forces all people to represent themselves on a template. Facebook decides what your presence on the web is no matter how you put your own content on it. Discussed at length in You Are Not a Gadget: A Manifesto by Jaron Lanier. Not sure how you avoid that. We have been discussing something similar recently and with a focus on status as part of a network e.g. I am open to collaboration now or I am focussed on task etc. Tom Farrand from Good for Nothing has done quite a bit of thinking on this. Hope the above helps! I am looking forward to seeing how you help people learn more about themselves and express that learning online! I like a lot of this, in particular the visual elements, and the use of assessment tools, but I get a little stuck on the auto-naming of qualities, attributes, and strengths. Especially for those of us with Buddhist spiritual roots (read: humility), while it is wonderful to cultivate an appreciation of the self it feels an uncomfortably whole lot like bragging to give a list of adjectives and words to describe how amazing oneself is. To describe the self (w)holistically in terms of passions, work, activities and involvements, as opposed to in terms of (universally positive) descriptors is a more comfortable place to live for someone like me. I feel very comfortable with the “ask about” area, in which we can display our passions and drive, and also with assessments that derive a matrix of pre-defined descriptors, and/or also perhaps with the possibility of creating some sort of algorithmic method to enter descriptors provided by *other* people, both within this platform and beyond. Elsewhere, I’ve seen this as “words used to describe me have been” or similar — this also can provide an opportunity to link to these descriptions if useful. For me I prefer an “I try to be” “I admire this quality” “I aim for” “I am striving towards” etc than giving a list of qualities that I already “have” — but it’s part, in fact, of a larger interesting conversation about “selling” the self, is it not? and also about our comfort (or lack thereof) in self-praise…. just some thoughts… it’s semiotics, ultimately…. Yes, Lynne, “selling self” is like the resume of decades past, what a famous blogger calls interruption marketing. Look at me-me-me the most important person, me! Fine for each in their own universe. Together, how can this build trust? It doesn’t, because trust is earned by doing. Trust cannot be bought or sold. Have you made your own expression? Ready to share? Hey Venessa, your “Vision Former” here. How do we represent ourselves in this medium? That’s a question that is better answered by doing a bit of “field research” and following the groups that have acquired a very unique identity throughout specific virtual communities. I’m particularly interested in how entire pop genres or sub-cultures have established such a well delineated persona using nothing more than consistent imagery along infinite streams of information. Belonging to a sub-culture has nothing to do with sending a registration form and everything to do with the matrix-esque recognition of the “secret language” of your group. I’m not surprised that you find inspiration in Pinterest. Not unlike artisans in the middle ages, who would form guilds around new and established crafts by simply carrying a token or object that was considered their maximum creation. It turns out that being proud of what you do is a very powerful gravitational force to attract others with similar interests. I love what you’ve done with your super-powers. I used to think of myself as a data cowboy on the cyberspace back in the 90s but your “pattern-recognition” badge would fit me better today. Now, if we can only find THAT token that makes us proud and put it front and center in our profile I bet my consulting practice would get more business in “big data” projects. Venessa, interesting work and like the angles around self discovery. You should add network discovery. Please help with this project, which I call Operation:Bailout, though Bailout is just the first phase. I am going to break it up into stages and please listen to recording, despite some of its eccentric terms. I want to be of great help to this movement, but I am going to need help with this movement. I am also joining other related movements as well, like theTransitioner, and I will get very involved. It’s a long story, but please donate and spread the word to as many people as you can (as it seems you all have great influence, and can contact some people I can’t like the David Rushkof and other big organizations in this movment…, and so they can do the same. Anyone and everyone who could help, would be awesome. Please make this some kind of network effect so eventually I can get into a college incubation program, start a business related to this movement, and help to get more momentum and things in motion. It’s the only way I am going to get into a better situation, and be able to help this cause immensely. I am going to break it up into stages and please listen to recording, despite some of its eccentric terms. I want to be of great help to this movement, but I am going to need help with this movement. I am also joining other related movements as well, like theTransitioner (That is where the permalink goes), and I will get very involved. It’s a long story, but please donate and spread the word to as many people as you can (as it seems you all have great influence, and can contact some people I can’t like the David Rushkof and other big organizations in this movment…, and so they can do the same. Anyone and everyone who could help, would be awesome. Sidenote: I know I put this up twice but I wanted to fix one or two typos. Thanks for understanding. Ugh. Forget it and these stupid glitches. The permalink connects to theTransitioner profile (Talks about who I am and what I am about, etc, how I could and WILL help this cause) and the other link relates to Operation: Bailout and the funding campaign (more about why I need help, but also about what I want to do. I am really counting on people in this culture and movement to help me out, because I know no else can or will, and its about time I got my proper rite of passage. Thanks so much ahead of time. I need all the help I can get. how about a google hangout or skype video and you can tell me what you want to accomplish. I like that you’re digging into this, Venessa. This is an interesting piece that looked at the tradeoffs Facebook made in developing the timeline. Pretty interesting and very relavent. 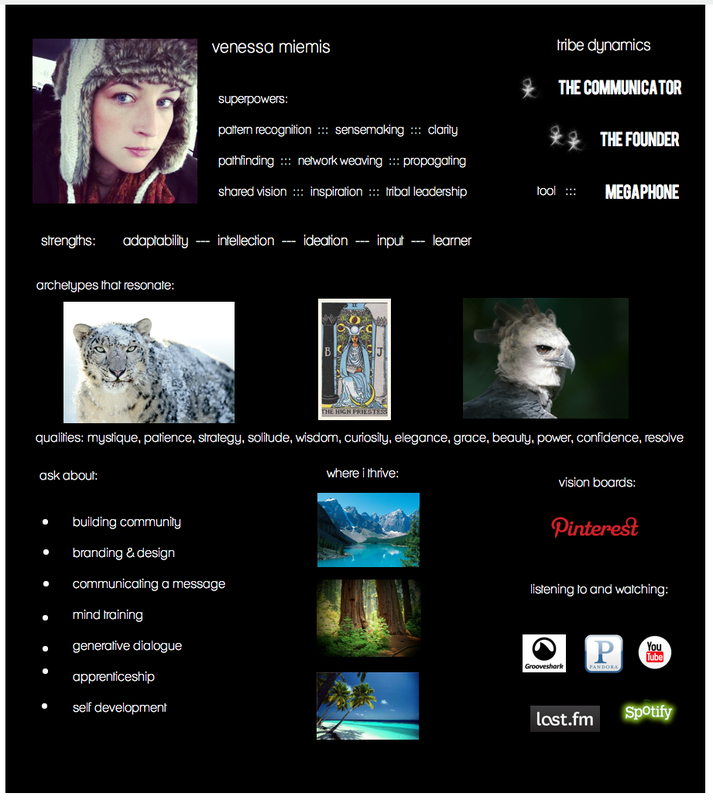 This is a Great idea, very inspiring… Love the richness, clarity and elegance of your profile. Wonderful post however I was wanting to know if you could write a litte more on this topic? I’d be very grateful if you could elaborate a little bit further. Many thanks! For newly engaged couples, the reputations of creative designers assure them of a special layout and Albuquerque Jewelry Stores that have a substantial inventory of loose, large-top quality diamonds let customization of their engagement ring to fit their budget. It is universal fact that most of the women of the world love to receive a beautiful diamond engagement rings on her very special and auspicious occasion that is engagement for which she would have shape beautiful dreams and also planned for many thing for that particular occasion. Inspired by these classic masterpieces the Heart shaped diamond engagement rings are available in enthralling red, blue and pure colorless beauty. Fantastic blog you have here but I was wanting to know if you knew of any discussion boards that cover the same topics talked about here? I’d really like to be a part of community where I can get suggestions from other experienced people that share the same interest. If you have any suggestions, please let me know. Thank you! Just desire to say your article is as astounding. The clearness in your post is just spectacular and i can assume you are an expert on this subject. Well with your permission let me to grab your RSS feed to keep up to date with forthcoming post. Thanks a million and please carry on the enjoyable work. The visible difference is within the dealer and just how much profit they would like to make through you for the sale made from the diamond engagement ring. A mild effect is considered acceptable and appears in basically all pear shaped diamonds. Also, because it’s the most popular diamond shape there are lots of them out there, so you have a lot of flexibility when purchasing. You’re so awesome! I don’t believe I’ve truly read something like this before. So wonderful to find somebody with a few unique thoughts on this topic. Really.. thank you for starting this up. This web site is something that is needed on the web, someone with a bit of originality! Oh my goodness! Impressive article dude! Thank you so much, However I am having issues with your RSS. I don’t understand why I cannot join it. Is there anybody else having similar RSS issues? Anybody who knows the answer will you kindly respond? Thanx!! I do not even understand how I ended up here, however I believed this put up used to be great. I do not realize who you’re however certainly you are going to a well-known blogger in the event you are not already. Cheers! Hello there, I found your web site by means of Google while looking for a similar topic, your web site got here up, it seems great. I’ve bookmarked it in my google bookmarks. Your website offered us with useful info to work on. You’ve performed an impressive task and our whole group will be thankful to you. further in favor of a person. Fastidious response in return of this issue with genuine arguments and explaining all regarding that.